Writer's Room Fan Art Friday: Parabatai! That's right, it's time for #SHFanartfriday again! The Shadowhunters Writers have thrown down the gauntlet for this week, so whip out those pencils and paints and submit your best Parabatai art! Each week, the Shadowhunters writer's room sends out their call for fan art. And this week, the big prompt is parabatai. So, search your memories and the books and find your favorite pair of close-knit warrior buddies and doodle away! For those of you who aren't sure what Parabatai are, they are Nephilim warriors who fight together as lifelong partners bound together by oath. 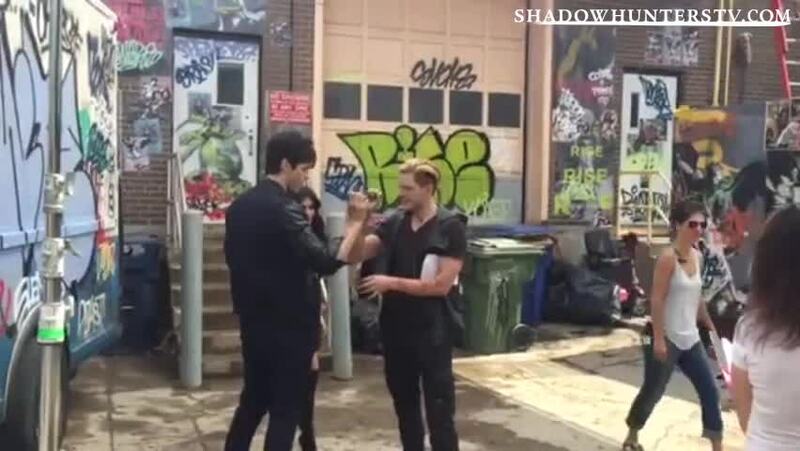 Or more simply: Shadowhunter duos who have each others back! You can send your art via Twitter to @ShadowhuntersWR and use the hashtag #SHFanArtFridayParabatai. Now get drawing!